Spring into Savers and Save + Enter to Win $50! Savers provided me with a gift certificate to facilitate this post. All opinions are my own. Is the song stuck in your head, yet? In my twenties I shopped thrift stores for vintage clothes and vintage shops for clothes. I was not hip or trendy, just broke. My girlfriend was a master at putting an outfit together that was fantastic and chic, but it was still okay to wear flannel at the time and I waited tables so it really didn't matter wore because I was in a uniform most of the day. I am not sure when I stopped going or why - I just got out of the habit and the places I like to frequent closed. Walking into the bright and shining Savers in Fairview Park was a delight. I have a new thrift store to go to now. I was invited to the sneak peak and given $50 to spend. I felt like I hit the lottery! Best part - they are letting me giveaway $50 to one lucky reader for any Savers or Value Village nation and Canadian wide! Savers has been in the business of recycling and supporting communities since 1954 with 330 privately operated chain stores n the U.S., Canada and Australia which employ over 20,000 people. In just the past 10 years, they have paid over 150 nonprofit offices $1.5 billion to community programs and services. Savers of Fairview Park has partnered with Easter Seals. For nearly 100 years, Easter Seals Northern Ohio has been providing services that help children and adults with disabilities gain greater independence. Recycling, great deals, and gives back to worthy charities helping our community? I say Northeast Ohio has a fantastic new place to shop. I felt we got some amazing deals! My son found a Shark stick vacuum. It may not be cordless but it was $6.99 and works brilliantly. He also got himself a new set of sheets of his favorite movie character plus t-shirts and shorts. Baby girl pick up some fun new tights and a party dress. Her words not mine. Our toaster bit the dust and I found one for less than seven dollars. I was so happy when I burnt my bagel because its been so long since we had one that worked properly. I also scored on games for game night! Looking at this photo now, I'm kickcing myself for not picking up Cleveland Monopoly! Believe me when I say that $50 went fast but I got so many wonderful things at a fraction of the cost. 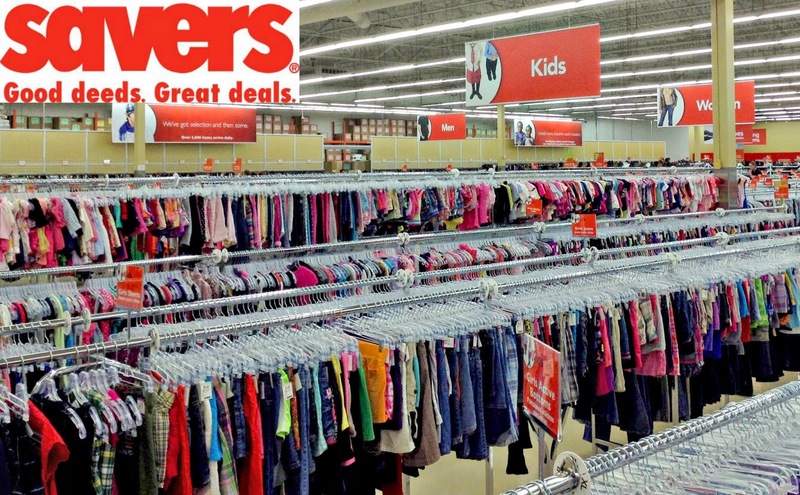 Enter to win a gift certificate from Savers / Value Village for $50! Click to make sure there is one near you first and complete as many or as few of the extra entries. Founded in 1954, Savers is a privately held global thrift retailer offering clothing and accessories for men, women and children and household goods under the Savers, Value Village, Village des Valeurs and Unique Thrift Store brands. Through its unique business model of purchasing, reselling and recycling secondhand merchandise, the Savers family of thrift stores benefits more than 150 nonprofit organizations, gives local consumers a smart way to shop, and saves more than 650 million pounds of quality used goods from landfills each year. Savers pays its nonprofit partners for donated goods, turning otherwise unused items into sustainable funding that supports their vital community programs and services. Savers operates more than 330 locations and has 20,000 employees in the United States, Canada and Australia. For nearly 100 years, Easter Seals Northern Ohio has been providing services that help children and adults with disabilities gain greater independence. Through programs such as speech and language therapy, homecare, summer camp and equipment loan offer individuals the opportunity to become more self-sufficient and enhance their quality of life.